Hi my lovelies! I hope you are all having a good day/week! I am hoping that I am sunning myself in the warm sunshine and sipping a tall, cold, glass of Tinto Verano (summer wine), it's a drink made with red wine and loads of lemonade and it is very refreshing! 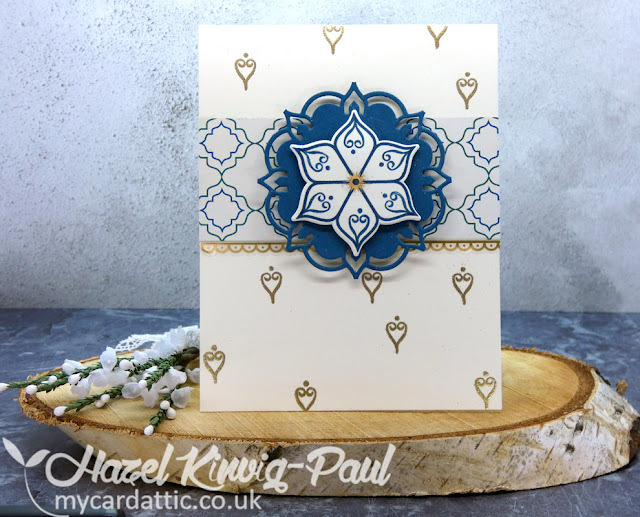 This is another card made with the Stampin' Up, 'Eastern Palace' suite of products, that you will know, I have completely fallen in love with. 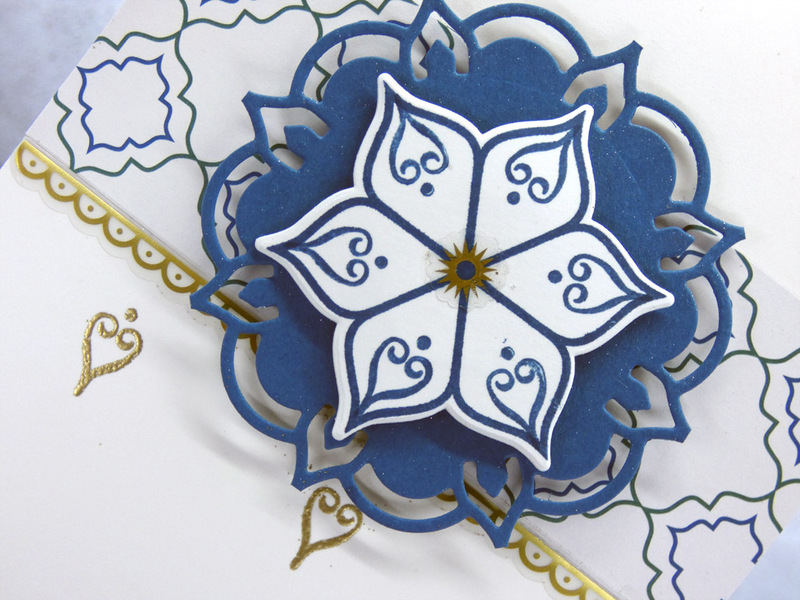 I am keeping all the cards made with this suite together, to see just how many I can get out of it. The only thing that I will be using that is not included in the suite, is some sentiments, from a variety other sets, as there are only a few with this stamp set, and there will be dozens of cards made! There are only so many, 'hello', 'just a note' and 'it's a beautiful life', cards that is needed, eh? I left the sentiment off of this one, I will stamp that when I know what I will use it for. Here it is. Thank you so much for your visit today and especially if you have left a comment. You are all appreciated more than you know! I hope to visit you all on my return! Just gorgeous and very rich! 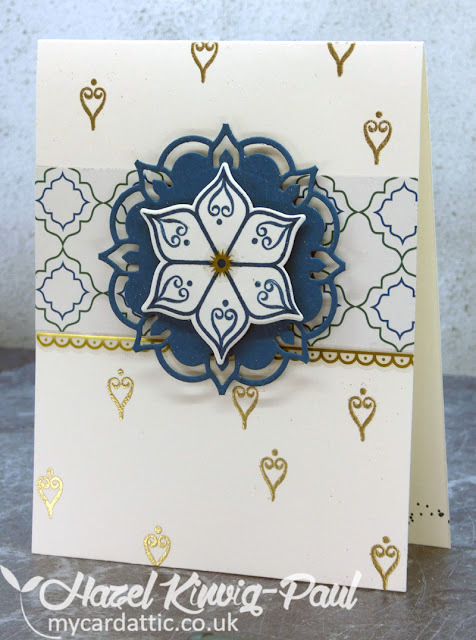 I love all the cards you have been making with this collection. It is very nice to have some cards without a sentiment to use as needed. 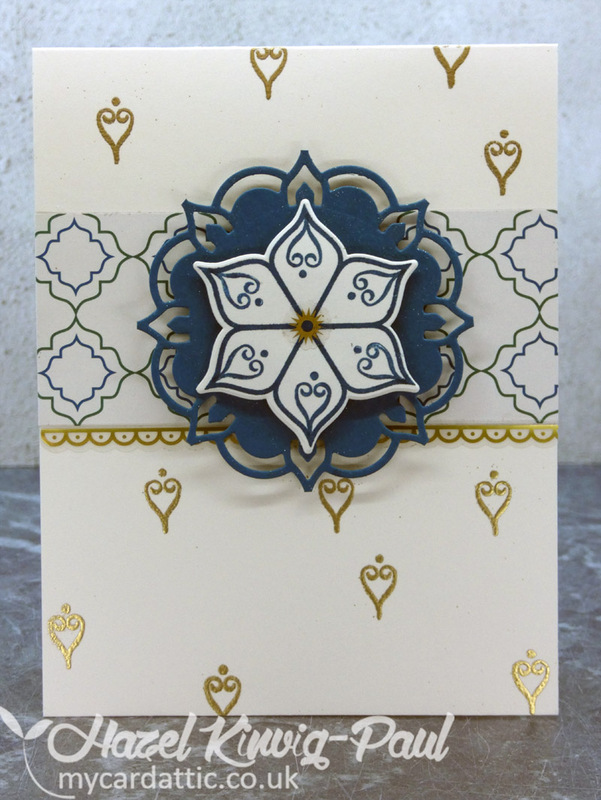 You are certainly getting lots of fabulous cards made from this classy and gorgeous suite set. Hope you are enjoying the break, the rest and those Tinto Verano drinks? 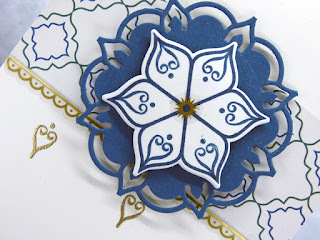 This is a beautiful card! I love this design. It feels very Eastern Palace for sure, and looks amazing! 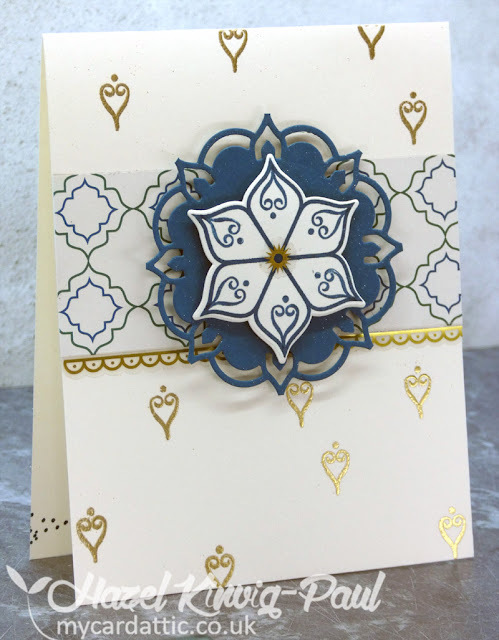 The embossed background is so elegant and perfect for this card! Cheers! So pretty, Hazel! 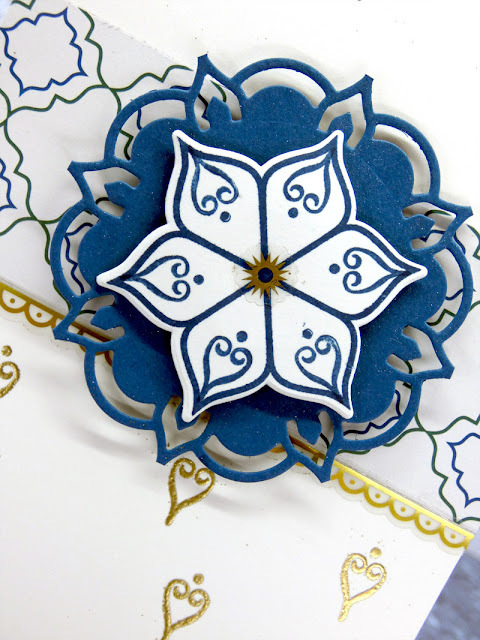 You are definitely getting use out of this stamp and die set. I hope you'll show a picture of all the cards together, once you feel you've reached your limit for now. Fabulous card Hazel, again that color combo is great. I won't tire of seeing these for a good long time. I really enjoy seeing what you create with this suite (and hope I won't be tempted into buying it...)! This is another gorgeous version and, in my humble opinion, doesn't even need a sentiment!